Side A Utrecht Muziekzentrum Vredenburg 10.12.1981. Side B Paris l'Olympia 28.2.1976. Released during the 80's, this is the first bootleg to include these recordings. 'Somewhere In Europe' bootlegs are from the same recording. 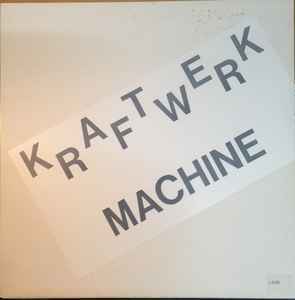 Plain white outer sleeve with large sticker on front "Kraftwerk Machine". Plain white inner sleeve. There is a variant of the cover. One of the variant cover is turned inside out of The Waterboys - This Is The Sea.